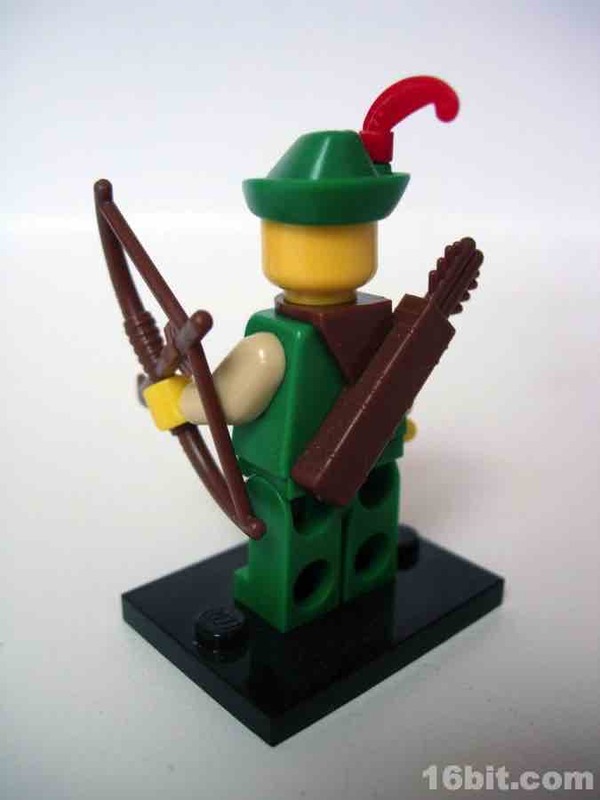 In the Castle theme, there were a lot of sets inspired by Robin Hood-- which is what I thought this figure's name was, but it turns out that I was not correct in this assumption. 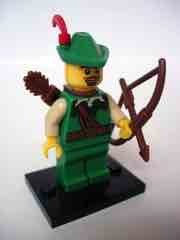 The official name is Forestman, but the bio on LEGO.com is clearly, clearly inspired by Errol Flynn's Robin Hood. Except for paint, this is very much like the LEGO Minifigure "forestman" figures sold over 20 years ago, complete with awesome hat, little feather, bow, and an excess of green. Unlike those figures, this one has increased detail printed on his torso, a much better "swashbuckling" face complete with facial hair, and arms that are brown-- and not green or red. (Brown was an uncommon color during the 1980s.) The costume is clearly improved, and this figure is a clear upgrade from the original ones sold in sets like in the now-more-sensibly-named Forestmen's Hideout in 1988. 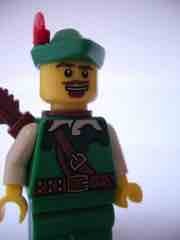 On eBay, this guy sells from $5-$9, and is pretty cool. Since I had the 1980s ones I wasn't doing cartwheels over it, but it's a big improvement and a nicely designed figure with neat detail in the belts and buckles.